• Touch screen for easy handling by the machine operator. • Heating element to soften the interior of the rim at areas of repair. • The machine is fully automatic. 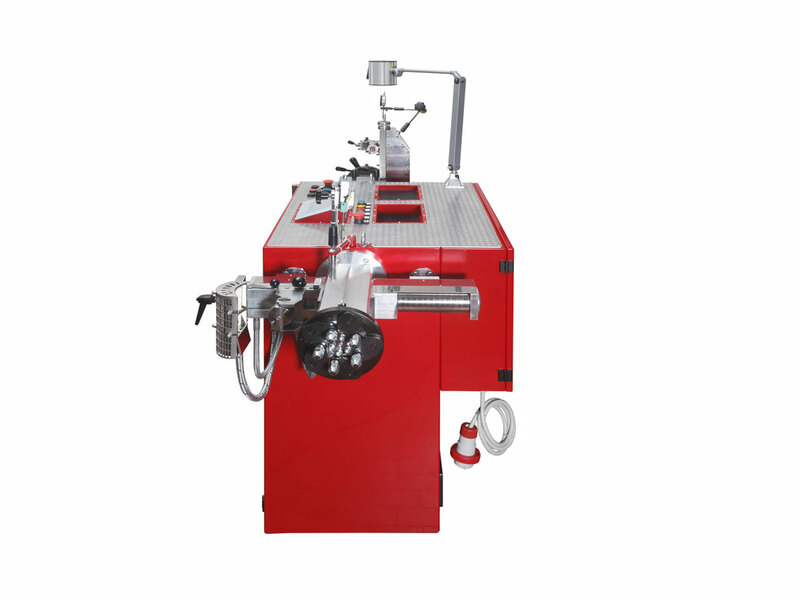 The operator needs only to mount the rim on the machine and use the touch screen to effect the rim repair. • Touch screen is mainly in symbols and in English. • Working capacity is 10″ to 28″ rims which covers all types of car rims. • Precisely manufactured by us in Italy form high quality materials according to EEC standards and EEC accident protection standards. 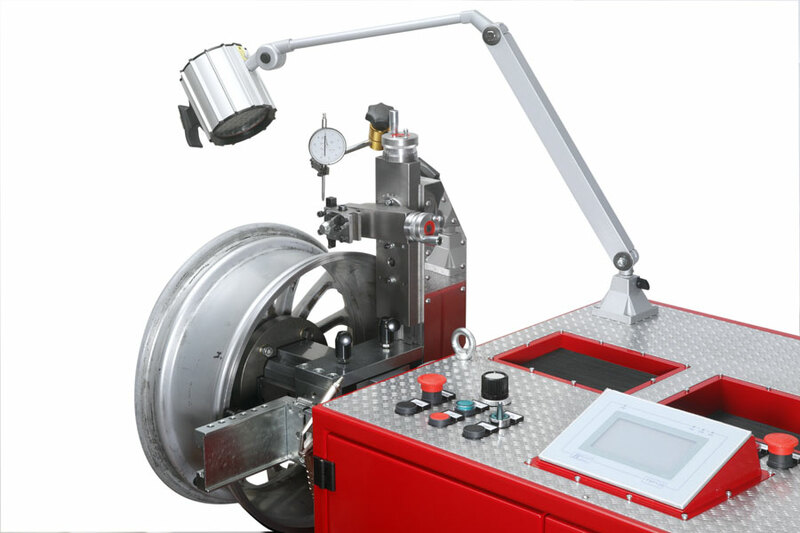 • Compact design which will fit easily into any tyre repair shop. • Checks rims for structural defects, including micro-fractures and concentricity faults and repairs inner rim. • Provides good extra income for tyre repair shops. 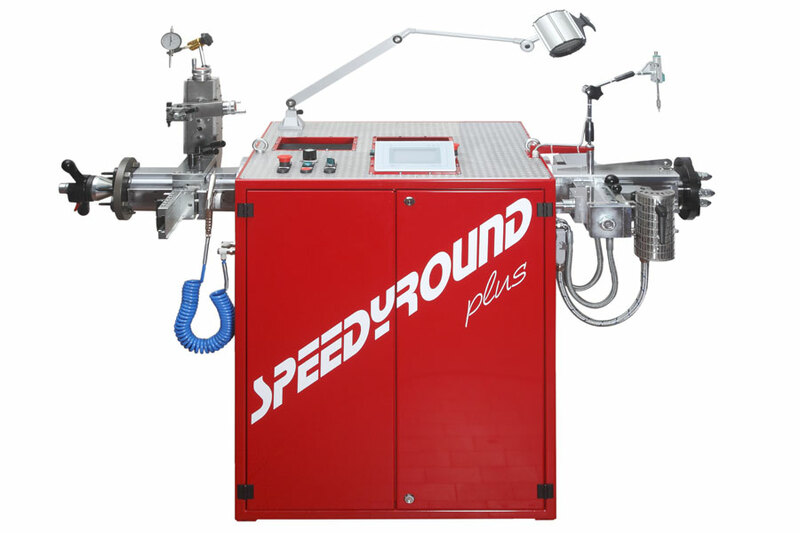 • Right section of the machine utilises the natural elasticity of the rim metal to restore concentricity. • Left Section of the machine has the added PLUS features which assists to shape any residual rim fault and effects a perfect rim repair. • Both right and left seciton are independently controlled and therefore 2 rims may be saparately repaired at the same time.